Zane Musa – the first time I saw him play was at a small, hole in the wall jazz joint. It was the summer of 2005 and I was on one of my first visits to Los Angeles from Germany, where the guitarist Greg Porée and I had met working at a small theatre in Hamburg. Drink in hand, we sat down, shortly before the show was to begin. So here we were on a date at this Secretly, I was thinking very dismissively, “What is all of this? This is not a proper city! This is not a proper jazz club! L.A. is so ugly. It’s like a barren, flat and never ending suburb, punctuated every now and then by strip malls, like this thing here…” But Greg swore, these were really good players. Whenever I had attended jazz concerts in Germany, the venues in which they were held were mostly historical theatres, lovely outdoor venues, like parks or on the waterfront. They always mirrored the anticipated beauty and specialness of the music. I therefore simply didn’t expect much walking in to that dumpy little bar. The small stage was only dimly lit. My eyes fell on this lanky, dark haired, good-looking guy. I watched him as he just stood there, swaying almost unnoticeably to the venue’s background music – or to his own? His horn hung around his neck and cupping its bow, he lightly cradled his instrument. He seemed oddly detached and lost, clutching his saxophone. The saxophone is obviously a staple in jazz music but I personally associated the sound of this instrument with the sickly sweet and whiney notes of players like Kenny G. dwindling annoyingly from supermarket and car radios. Having gained most of my listening experiences in the eighties and the nineties, a saxophone was the epitome of elevator jazz. But then the band started and this disinterested seeming guy started hitting his first notes; delving deeper and deeper into the music, spiraling into almost delirious solos – my jaw hit the floor. Zane Musa was the most brilliant, moving saxophonist I had ever heard. After the performance, on the way out, I grabbed some of these flimsy paper napkins from the bar and in the car I just dotted down every though that was rushing through my head. 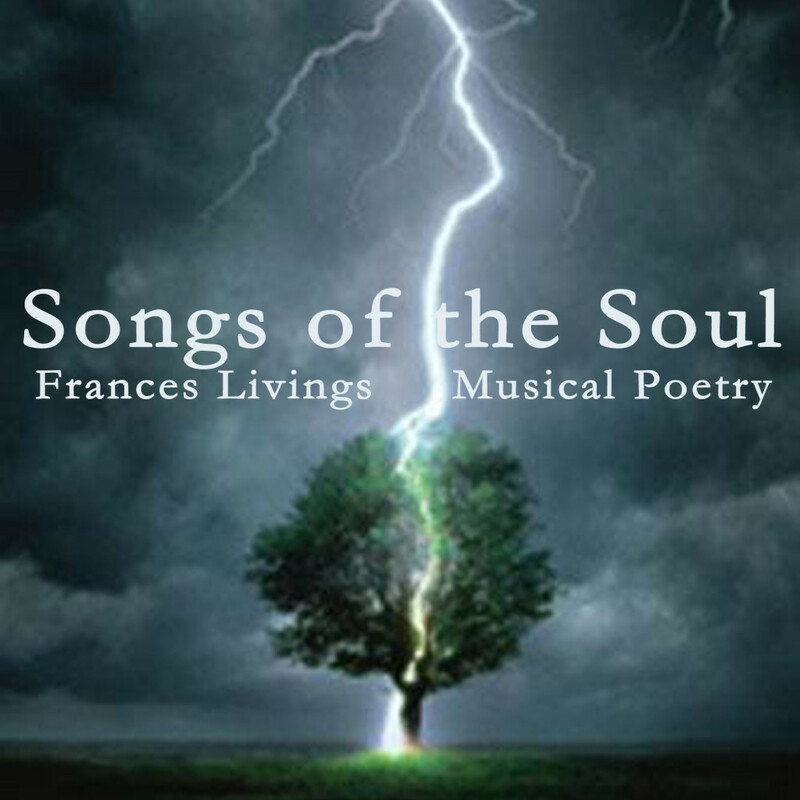 In the following weeks the poem “Songs of the Soul” evolved. I only told my husband that Zane inspired the piece. Nobody else. I was somewhat embarrassed by the impact he had made on me – I had a musical crush on him. Once the poem was completed, I felt as if I needed to deepen its intensity. I had only just started a new project recording some of my poetry. Nervously I contemplated asking Zane to play on “his” poem. I wouldn’t tell him of course that it was about him. My goal was to recite the piece and ask him to respond in a duet, as if he was at a live jazz gig, improvising on the spot. I wanted to capture a complete performance – also of my reading – rather than the usual studio procedure of assembling tracks for overdubbing and editing. So a few weeks later, Greg, who is also a truly wonderful producer, arranged a session with Nolan Shaheed at his studio in Pasadena, an environment that has now, over the years, grown into a very “safe” place to record. So there I stood, in the vocal booth, Zane opposite to me in another one, connected by sight and large earphones and separated by the thick studio glass of the individual chambers. I didn’t read the poem out to him before we were ready to record. I wanted his reaction to be spontaneous. So in dialogue with my recital of the poem, Zane played his musical interpretation of “Songs of the Soul”. The atmosphere was electric and invariably I achieved my concept in two takes. The first recording was wonderful, very soft, sensitive and flowing but the second take had a lot of passion. That was the one we then mixed and mastered. Even in the somewhat disconnected and sterile environment of a recording studio, I experienced Zane as inventive and daring. He would blend Middle Eastern quarter notes with American jazz. I was impressed by his ability of delving into the music like into the depths of an indigo coloured lake that lied within him. A few years later in 2013, I was recording my first solo album, The World I Am Livings In, with eleven of my original songs. I couldn’t resist asking him to play a solo on my song “Only Time Will Tell”. I needed some melancholic magic. It’s a very sad piece about fearing your loved-one will one day emotionally leave your once passionate relationship. So I booked a session at Nolan’s studio and Zane played a short but very moving solo on soprano saxophone. While he was still in the booth Nolan whispered to me that his older brother, the tap dancer Chance Taylor had only just committed suicide – the day before. My feelings shifted like waves. I went from being very moved by Zane’s playing over incredible empathy for such a loss to total disbelief that he had even showed up for the session. It seemed like too much! How was that possible, despite the pain, the shock and the anguish? At the same time I knew that sometimes that’s the very thing you have to do. You show up and play, you sing, you write your heart out in order to not collapse. You keep going. It was such an emotional situation because at the same time I was also grateful for the fact that sometimes, when playing music, it’s like being handed a piece of that other person’s soul. It’s a very delicate and precious moment and I wanted to thank Zane and give him a piece in return. Although Greg and Nolan knew, I had never made it public that Zane was the inspiration for “Songs of the Soul”. So I told him that morning. His head was bent down, his eyes cast to the ground. Slowly, he lifted his gaze and through those tinted glasses he often wore, he looked at me almost with the eyes of a child, his heavy eyelids framed by dark eyelashes, batting slowly two, three times. Everyone who knows Zane will know the look. I will never know to date whether he had sensed this anyway that the poem was basically about him. I didn’t know what he thought at all – he wasn’t exactly an open book when it came to words. What I do know is that Zane didn’t care about compliments; you couldn’t charm, bribe or seduce him into niceties. He poured himself into his music because he wanted to, rather, had to. So I didn’t judge or ask. But I had wanted to give him something back after he had given me these two heart-wrenching improvisations on his instrument and after the devastating loss of his brother. I wanted to simply say – I care. And ironically, sadly and magically, that’s exactly what his fellow musicians did for him almost exactly two years later: They played their hearts out, hoping to give Zane back a piece of their souls: On Monday, February 2nd, 2015 the jazz community received the incomprehensible and devastating news that Zane Musa had passed away. He was only 36. At first it seemed to have been a freak accident while on tour in Florida with the trumpeter Arturo Sandoval who himself had been a protégée of no one less than Dizzy Gilesby. But later we learned that tragically, Zane had taken his own life by jumping from the top of a park deck. Two weeks later, on Monday, February 16, 2015, we celebrated Zane’s life: Organized by his family and three of his closest friends, the keyboarder Dennis Hamm, the bassist Ryan Cross and the drummer Tony Austin. I was asked if the recording of “Songs of the Soul” could be played and whether I could say a few words about how it developed. Of course I was more than honoured that I could contribute something. For years, the Sofitel Hotel on Beverly Boulevard has been a slightly more glamorous venue for Monday night jazz sessions that Zane had often attended. Generously, the management once again supplied their venue, this time for Zane’s memorial service. The large conference room was packed. Some of the guests had to stand in the back. I can only guess that there were at least five hundred people attending. Zane’s sister, his mentors and close friends shared very personal stories. Pictures of him growing up, tap dancing and playing his instrument were shown, and Zane’s peers and close friends played live music. Zane’s brother Chance, an award winning tap dancer was also commemorated. A slide show that Dennis had compiled, with pictures of Zane playing illustrating “Songs of the Soul”, marked the end of the well over three hour memorial. Finally, a brass band led the attendees downstairs to the piano bar where a jam session took place until closing out at 2 am in the morning. I don’t want to speculate at this point why Zane ultimately made the decision to end his own life. It seems so much like such a contradiction of his brilliance and success. Moreover, he was loved, respected and revered by his family and peers. Couldn’t he get professional help, one may be temped to ask. But we know of others, whose idea of suicide has risen to loom over them like a “black sun”, whose yearning to cease corporal existence leads to their final act. Centuries ago in the deserts of North Africa, people used to gather for these moonlight dances of sacred dance and music that would go on for hours and hours, until dawn. They were always magnificent, because the dancers were professionals and they were terrific […] But every once in a while, very rarely, something would happen, and one of these performers would actually become transcendent. […] time would stop, and the dancer would sort of step through some kind of portal and he wasn’t doing anything different than he had ever done, 1,000 nights before, but everything would align. And all of a sudden, he would no longer appear to be merely human. He would be lit from within, and lit from below and all lit up on fire with divinity. […] And when this happened, back then, people knew it for what it was, you know, they called it by its name. They would put their hands together and they would start to chant, “Allah, Allah, Allah, God, God, God.” That’s God, you know. […] Incomprehensible, there it is — a glimpse of God. Which is great, because we need that. But, the tricky bit comes the next morning, for the dancer himself, when he wakes up and discovers that it’s Tuesday at 11 a.m., and he’s no longer a glimpse of God. He’s just an aging mortal with really bad knees, and maybe he’s never going to ascend to that height again. And maybe nobody will ever chant God’s name again as he spins, and what is he then to do with the rest of his life? This is hard. This is one of the most painful reconciliations to make in a creative life. When I first came to Los Angeles – which is now almost ten years ago – I felt profoundly moved by something and I knew, there was likely no return: It was the experience of such incredible talent and level of musicianship. Only on recordings by the very best, had I heard the amount of brilliant players as I then did and continue to hear live. I felt in awe, and as an artist myself inspired, challenged and frightened. In some way, Zane epitomized a lot of these feelings and conflicts. I have always highly respected his talent, passion and hard work. When he played, he invested everything – including his torment, which was what I saw that very first evening with such intuition I suppose, because it mirrored in a way some of my own. But did I have that courage? An interesting, older article praising the talent of a young Zane Musa appeared in 1996 in The Los Angeles Times: “They’re Young, Gifted and Gigging: Zane Musa, a Name to Remember, Opens New Jazz Talent Series” by Don Heckman in The L.A. Times, April 4, 1996.